Home → CCTV Sydney Security Cameras → What makes up a surveillance system? Knowing that a reliable surveillance system is never a one man show is a good start to all installation. Basically, all trustworthy surveillance systems should incorporate two kinds of devices – the standard and the specific. Standard devices refer to the essential parts that all surveillance systems should come with. These include a multi-area alarm system, which sounds off when abnormalities take place. The alarm system should also be linked to either a monitoring center, the police department, or user’s mobile phone, so that swift action can be taken when the alarm is triggered. The surveillance should also come with CCTVs so that footages of any abnormality are taken as they happened. Recently, motion detector had also became part of the standard device due to its popularity. Many may still be confused by the name “motion”, in reality, a motion detector senses heat. Heat tends to mount up when the movement of a person increases, it is when the motion detector will pick up the information. This is also why the motion detector is often installed at the ceiling. It is common for standard devices to come in wired or wireless form. Wired system is most recommended for newly built home or office spaces so that wires can remain hidden alongside with other renovation works that are taking place concurrently. Wireless system is sometimes recommended to users who do not wish to disturb their existing structures or do not wish to have major wiring work to take place. It is also not a strange practice for one to have both wired and wireless option in the same surveillance system. Specific devices vary largely depending on one’s surveillance needs and also the area under supervision. For example, some businesses will employ a tracking system to monitor the entry and exit of employees and all movements within a premise. While factories may use similar tracking system to overlook manufacturing processes. High resolution cameras are often used in convenient stores or supermarkets where there are many isles or hidden corners for crimes to take place so that the entire area can be better captured and supervised. On the other hand, high end devices may deem unnecessary in a childcare centre since the purposes are to deter against strangers or intruders and not invading the privacy of stuff and students at the same time. 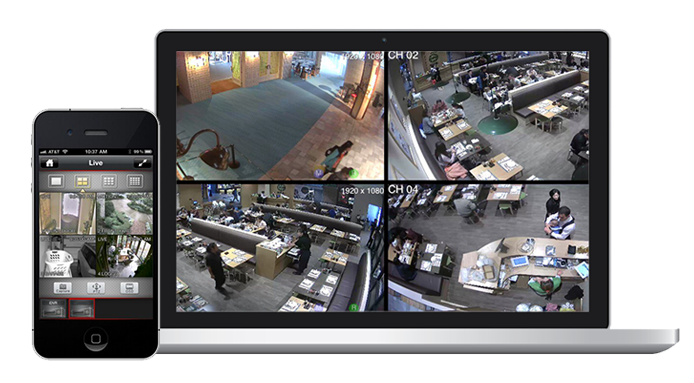 At one glance, the make-up of a surveillance system may seem simple, but more details need to be explored upon planning and installation. Nothing should be left out if one needs to surveillance system to be successful in the long run. Hence, it is always recommended to consult an expert for appropriate advice.